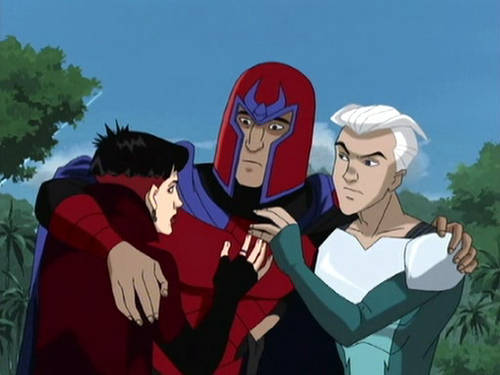 Magneto and the Twins. . Wallpaper and background images in the X-Men club tagged: x-men magneto erik lensherr max eisenhart wanda pietro maximoff quicksilver scarlet witch.